Social media is an important way to extend participation and support for the Walk – and can inspire your friends and followers to learn more about ovarian cancer, a cause that is important to you. It may even spur them to follow your lead by registering for the Walk or donating. Copy and paste one or more of the following posts to your favorite social media platforms. Feel free to personalize the language to make it your own and inspire others to Walk with you. Be sure to add the link to your personal fundraising page in your posts so friends and followers can donate or join your team in a few quick clicks. 1 in 2 women diagnosed with #ovariancancer doesn’t see another 5 years. 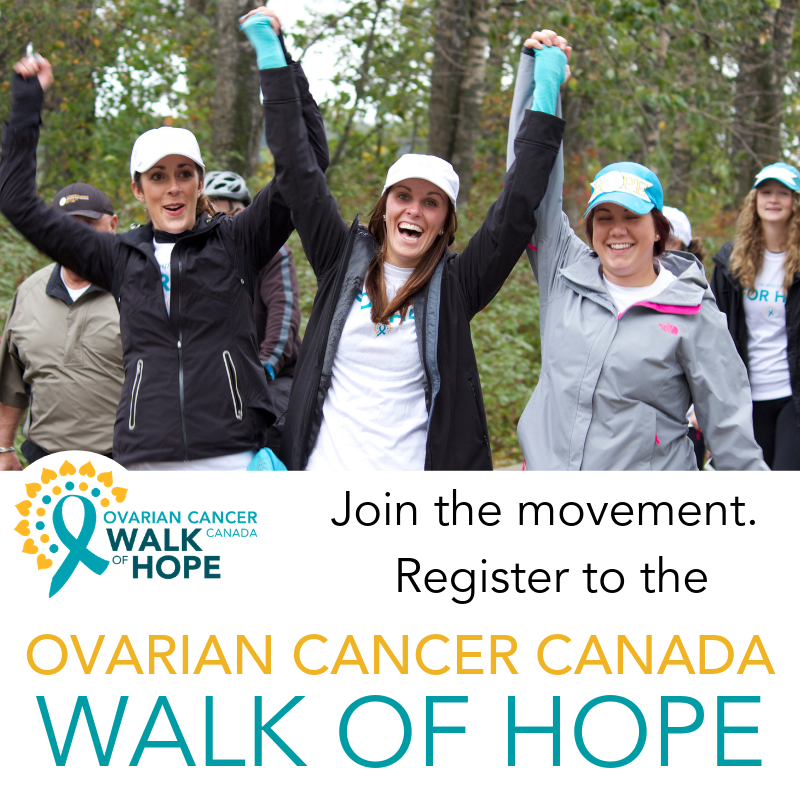 We deserve better and that’s why I’m participating in the Ovarian Cancer Canada #WalkofHope. Donate to my fundraising page or join my team. Together, we can help save lives. 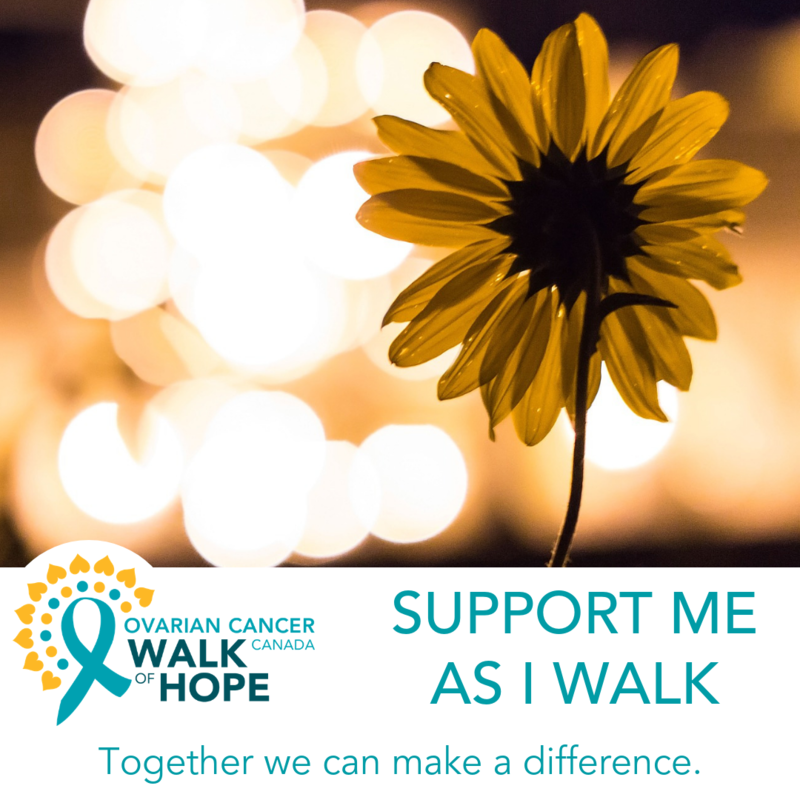 I’m one step closer to reaching my fundraising goal for the Ovarian Cancer Canada #WalkofHope, but I need your help. Donate to my page and together, we can help save women’s lives. One of the easiest ways to share your story is through social media. Tell your followers why you are participating in the Ovarian Cancer Canada Walk of Hope and what their support would mean to you. A picture says a thousand words so be sure to add your favourite Walk photo to your posts. Check out the shareable graphics below for a readymade option. When someone donates to your Walk, brighten their day and thank them with a social media shout out. You may even encourage further donations from others who see it and want to help, too. 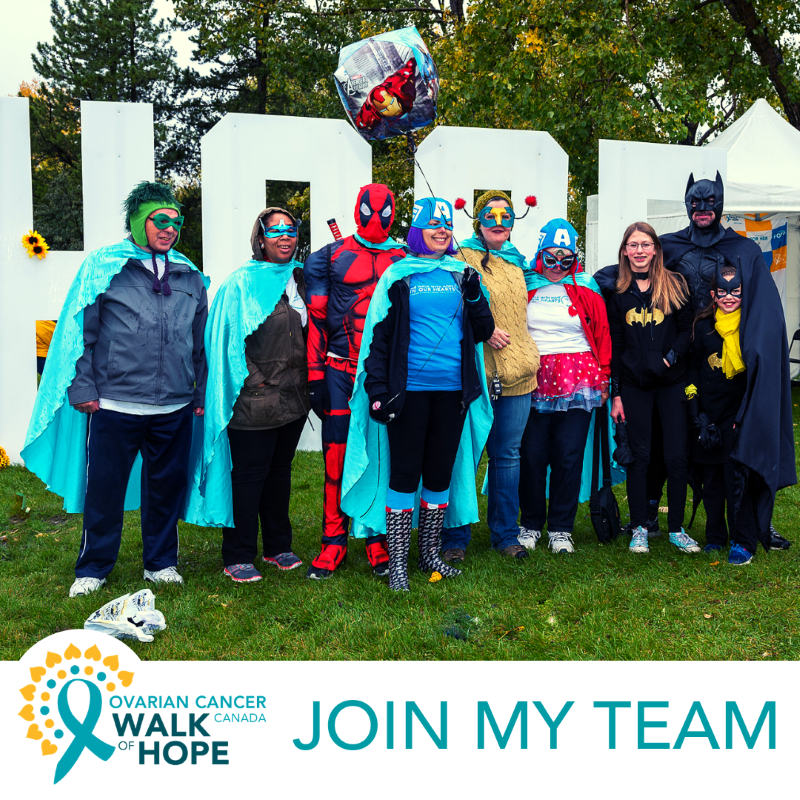 Be sure to follow Ovarian Cancer Canada on social media and use the hashtag #WalkofHope to join the conversation across the country. RSVP to the Facebook event page for your local Walk to see who’s walking with you. Introduce yourself in the discussion board and share ideas to raise funds. "Support me as I walk"